Princess Eugenie’s Controversy Wedding: Royal Family’s Absence To Tax-Payer’s Wrath! Read why Queen’s granddaughter, Princess Eugenie lavish wedding to marry Jack Brooksbank are courting controversy. The Queen’s granddaughter Princess Eugenie is all set to enter holy matrimony with her long-time boyfriend Jack Brooksbank on October 12. However, her lavish nuptial has been surrounded by controversies— from most of the Royal Family not attending her wedding celebrations to facing the wrath of the tax-payers. Read more to find out! 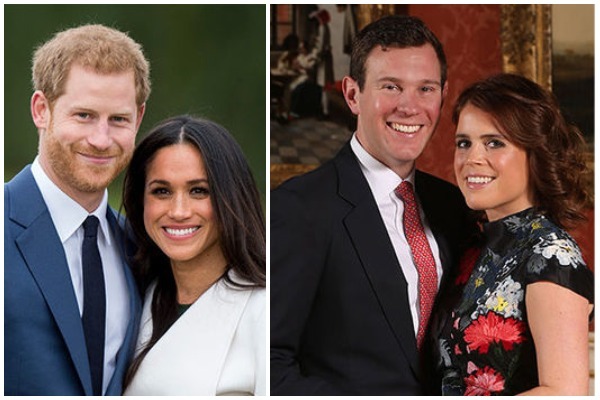 On Friday Princess Eugenie and Jack Brooksbank are to be married at St George’s Chapel, followed by a reception at Windsor Castle. Here we can announce more details of the day. Singer-songwriter Andrea Bocelli and The Royal Philharmonic Orchestra, of which @hrhthedukeofyork is Patron, will perform during the service. During the service The Archbishop of York, The Most Revd. and Rt. Hon. John Sentamu, has written a personal prayer which will be included in the Order of Service for the Wedding. Ninth in the line of succession, Princess Eugenie’s wedding will be paid for by the couple’s families but the security alone has reached around £ 2 million which is to be paid for by the tax-payers! If this was not enough, the tax-payers have to shell out extra £250,000 for clean-up post the wedding and the celebrations. Naturally, the tax-payers are miffed and an anti-monarchy organisation Republic is urging the government to not allot any more money to the nuptials. The petition has attracted more than 41,000 signatures. Princess Eugenie’s royal wedding will be a two-day affair. Eugenie, 28, and Jack Brooksbank, 32, are planning a horse-drawn jaunt after their wedding in St. George’s Chapel on Friday. The wedding celebrations will extend to October 13 as reportedly, there will be festival with a fairground and afternoon tea. The Princess will walk down the aisle at Windsor Castle’s St. George Chapel on October 12. The ceremony is expected to begin around 11 a.m. and will be an hour long. Post the ceremony the couple will take a short procession ride around Windsor before departing to a champagne reception hosted by the Queen at Windsor Castle. Later that evening the guests will be allowed to mingle with the newlywed couple in a reception party hosted by Princess Eugenie’s parents—Sarah, Duchess of York and Prince Andrew, Duke of York at the Royal Lodge in Windsor. Talking about the wedding, no celebration is complete without a cake! Rather than serving a traditional fruit cake, the princess is planning on serving her guests a red velvet-chocolate cake with buttercream frosting, messily painted exteriors decorated with real flowers-ivy. The theme of the cake is colours of autumn. While Princess Eugenie’s older sister Princess Beatrice will be her Maid of Honour— among several other children, Prince George will a pageboy and Princess Charlotte will be a flower girl. The ceremony is expected to be attended by nearly 850 people whereas St. George Chapel’s capacity is only for 800 people! In addition to this the couple has also invited over 1,200 members of the public into the grounds of the Windsor Castle. However, the Royal Family has snubbed the second royal wedding of the year. While the Queen and Prince Charles are surely to attend most of the royals will not be present. Reportedly, Camilla, Duchess of Cornwall will not be attending the wedding as the duchess has to attend a primary school’s harvesting festival celebration in Scotland. Prince Harry and Duchess of Sussex Meghan Markle are currently preparing for their Royal Tour to Australia so they will not be making an appearance. As for Prince William and Kate Middleton it is unclear if they will be at the celebrations however, we are hoping they will be since their children are a part of the wedding party. Adding salt to the wound, BBC has refused to live telecast the wedding as they feared that it will not grab enough eyeballs. Now, ITV will telecast the wedding ceremony. Jack Brooksbank is the UK brand ambassador of George Clooney’s co-founded Casamigos Tequila. The couple got engaged earlier this year in January in Nicaragua. Against the backdrop of Lake Nicaragua and Conception volcano, after being in a relationship for seven years, Jack got down on one knee in front of the Princess as the sun was setting. In an interview the Princess stated that she was so over the moon that she started crying. Reportedly, the couple has designed the engagement ring together. Choosing to forgo a traditional diamond, the ring contains a padparadscha sapphire which changes colour in different angles. Next : Pics: Yuvika Chaudhary- Prince Narula’s Mehendi, Engagement and Sangeet Ceremony!